If you are familiar with printing worksheets in Excel, you might be looking for a way add page breaks in Excel Online. Although the online program doesn’t yet have all the printing capabilities of the Excel desktop application, you can work around the problem of getting your worksheet data to fit on a page. Select the range of cells you want on one page. Click File > Print, and then Print again. 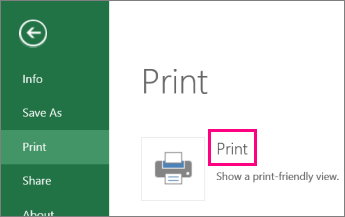 In Print Options, click Current Selection > Print. In the new browser window, click Print. We are updating Excel Online features, keep a look out for new updates on the Microsoft Excel blog. Since Excel Online works seamlessly with Office desktop programs, try or buy the latest version of Office now.